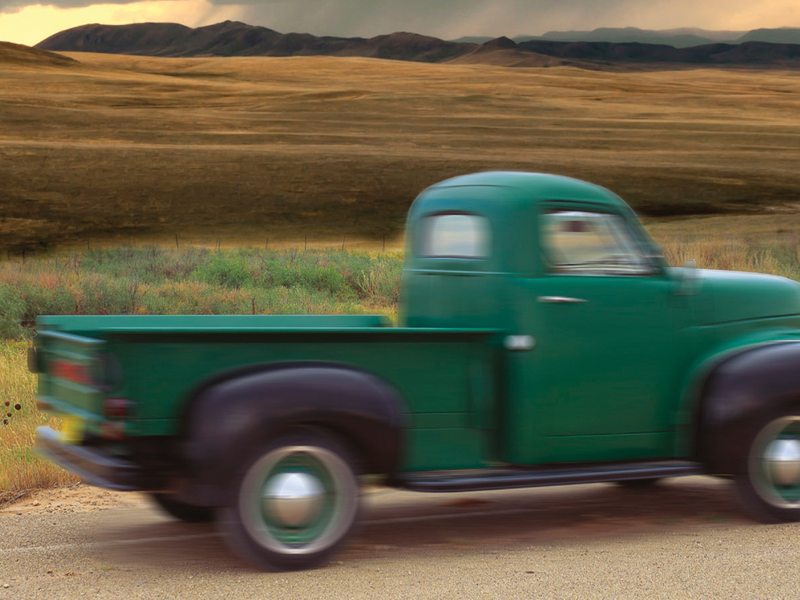 "No matter how long they've been there, the people who live out here believe that whatever life demands of them they can meet it on their own," writes Larry Watson in his new novel, As Good as Gone. "Here" is the badlands of eastern Montana, a famously desolate and unforgiving region; those who inhabit it tend to learn self-reliance quickly, and by necessity. That's the way it was for Calvin Sidey, who ran away from his children and his real estate business after the death of his wife in a car crash. He ditched his hometown of Gladstone, Mont., left his kids in the care of his mother and sister, and decided to live the remainder of his life as a cowboy, taking odd jobs for little pay. Decades later, in 1963, Calvin is approached by his son, Bill, who still lives in Gladstone with a family of his own. He has a favor to ask his father — Bill has to drive his wife to Missoula, more than 500 miles away, so she can have a hysterectomy. He needs his father to watch over his kids, 17-year-old Ann and 11-year-old Will. Bill's kids have problems of their own. Ann is being stalked by a violent and possessive ex-boyfriend, and Will is starting to grow leery of his friends, malcontents with violent streaks who tease him and conspire to catch a glimpse of his sister while she's in the shower. Calvin, who's tough but compassionate (as cowboys in these types of books always are), finds himself unable to resist intervening in the lives of his son's family, especially after Bill's neighbor is confronted by the boyfriend of a woman Bill is evicting from her rental home. He decides to take matters into his own hands. In As Good as Gone, Watson doesn't stray too far — geographically or thematically — from the territory he explored in his acclaimed 1993 novella Montana 1948. That's not necessarily a bad thing; at his best, Watson evokes Big Sky Country as well as Montana writing legends like Ivan Doig, Jim Harrison and Norman Maclean. And like those authors, Watson is a naturally gifted storyteller, plainspoken and unpretentious. In the context of a Western novel, it's a great voice, evocative of the West, and it works best when Watson is writing about Calvin. Take this passage, explaining why Calvin decided to leave his family: "In his grief, his crazy-drunk grief, he didn't think he could be responsible for his own life, much less his children's. He wasn't the first man to walk away from his family and he wouldn't be the last, but most men leave with a wife in the house to curse him or make excuses for him when he walks out the door." Watson has his finger on the pulse of a certain archetype: the quiet, tough cowboy who you don't want to tick off. And that's Calvin. Notwithstanding his quirks — he reads the classics in the original Latin, keeps a bottle of whiskey close although he doesn't drink — he's not much different from any other character of his brand. That's not necessarily a fatal flaw, but none of the other characters in Watson's novel manage to distinguish themselves either. Bill is kind, well-intentioned but feckless, his wife, Marjorie is a cipher. Ann seems to be there mostly for a damsel-in-distress set piece. Calvin's grandson Will is a little more interesting — after realizing he has little in common with his friends, he contemplates moving to the country with his grandfather: "...Will's disgust with those boys, boys he couldn't find a way not to call his friends, became so great that he determined there was no other solution for him but to leave the place where he had lived all his life." But his story is underdeveloped, at least until it takes a slightly ludicrous turn toward the end. That's not to say there isn't anything to enjoy here. Watson is excellent at building suspense, and As Good as Gone is frequently exciting in a cinematic sense. (Just try not picturing Sam Elliott as Calvin Sidey.) And even though the novel isn't perfect, Watson is a generous writer, and his love of the West and the people who live there shines through.